OPI Nail Polish, Comet Closer, HRG42, .50 fl. oz. 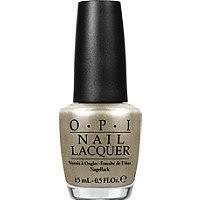 Cool-toned, lightly textured gold nail color with a satin finish.